Words are the ‘Maleficent: Mistress of Evil’ star wants to win back her estranged husband and would like them to be a family again for the sake of their kids. 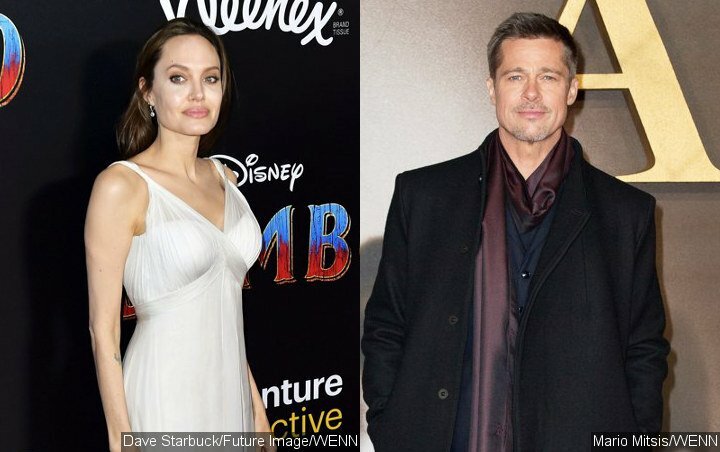 Property settlement is apparently not the reason why Angelina Jolie and Brad Pitt‘s divorce continues to drag on. The 43-year-old actress, who filed for divorce from the “Moneyball” actor in September 2016, reportedly deliberately prolongs the divorce process in hopes of reuniting with her estranged husband. The source adds that “Brad has consistently kept his mouth shut because all he cares about is his kids” and wants to keep a harmonious relationship with them. But the Oscar-nominated actor allegedly has no intention to get back with Angelina romantically. It was reported in March that the exes were negotiating a “bifurcated judgment” of their status as a married couple, which means they will both be considered divorced and single before reaching a final settlement. However, this didn’t seem to show any progress either, according to the source.